Are these strange animals the stuff of nightmares or aliens from outer space? Turns out, they're real undersea animals! Find out how deep sea creatures use bizarre and fascinating adaptations to survive in their harsh environments in this Level 3 Reader. Journey through the depths of the ocean into the dark Midnight Zone and discover the mysterious animals that live there. Learn about how their bodies make their own light or adapt to living in low-light areas, how they hunt, what they eat, and how they keep themselves safe from predators. National Geographic Readers' combination of expert-vetted text, along with brilliant images and a fun approach to reading has proved to be a winning formula with kids, parents, and educators. Level 3 text provides accessible, yet wide-ranging, information for fluent readers. Each reader includes text written by an experienced, skilled children's books author, a photo glossary, and interactive features in which kids get to reinforce what they've learned in the book. 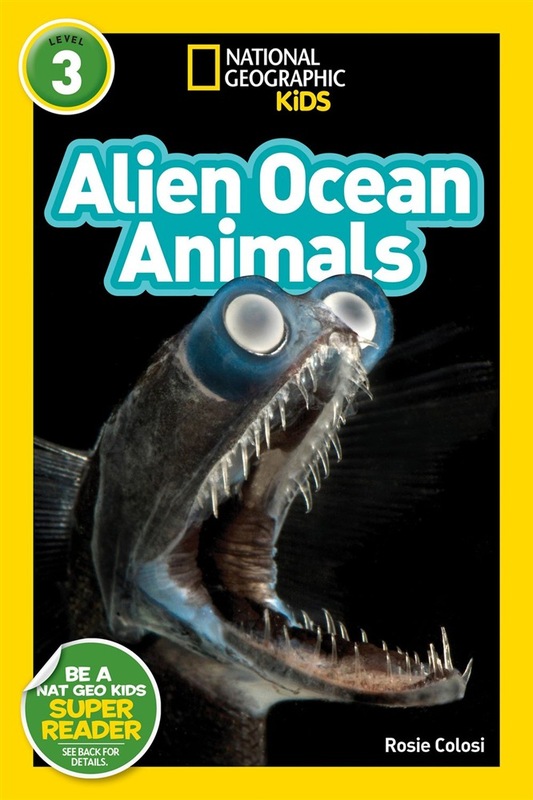 Acquista National Geographic Reader Alien Ocean Animals (L3) in Epub: dopo aver letto l’ebook National Geographic Reader Alien Ocean Animals (L3) di Rosie Colosi ti invitiamo a lasciarci una Recensione qui sotto: sarà utile agli utenti che non abbiano ancora letto questo libro e che vogliano avere delle opinioni altrui. L’opinione su di un libro è molto soggettiva e per questo leggere eventuali recensioni negative non ci dovrà frenare dall’acquisto, anzi dovrà spingerci ad acquistare il libro in fretta per poter dire la nostra ed eventualmente smentire quanto commentato da altri, contribuendo ad arricchire più possibile i commenti e dare sempre più spunti di confronto al pubblico online.